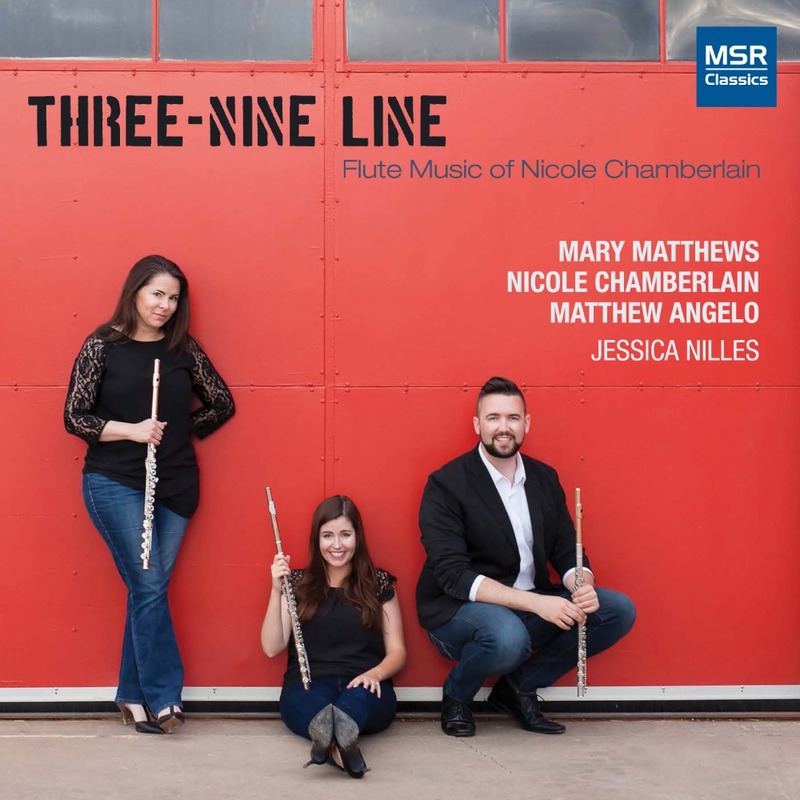 Flutists Mary Matthews , Matthew Angelo , and Nicole Chamberlain are recording an album of Nicole Chamberlain's flute music. We've collaborated for years performing Nicole's music, and now it's time we record an album. MSR Classics has signed on as our label, but we still need help getting this project completed. With your contributions, we will be able to hire a recording engineer, pay CD design costs, pay for promotional materials, and pay for the production of the CDs. We start recording this summer! We have all sorts of rewards available for our donors. Ranging from your own copy of the CD to your own signed score of "Asphyxia" by Nicole Chamberlain to video chat lessons! We would be grateful for any help no matter how small. Recordings are important to the career development of musicians, and your patronage could have a big impact on our lives as musicians. Thank you! NEWLY ADDED! Donations of $200 can be rewarded with a one hour solo house concert or event (wedding, party, etc) to donor who's event are within 45 miles of the following cities: Allentown PA (Matt), Atlanta GA (Nicole), Boulder CO (Mary), Clarksville TN (Nicole), or Savannah GA (Nicole). We received the CD's on Friday and we mailed out all of the rewards to our donors who donated $10 and above. So check those mailboxes! Thank you everyone for supporting us financially and emotionally. We have been overwhelmed with everyone's generosity and encouragement. We hope you enjoy the album. We should receive the cd's of our new album on Feb 2. We will start preparing our rewards and start mailing them to you then. Thank you again and we hope you are as happy with the album as we are! I wanted to update all of you amazing people about the album. We have finalized the designs of the CD packaging. 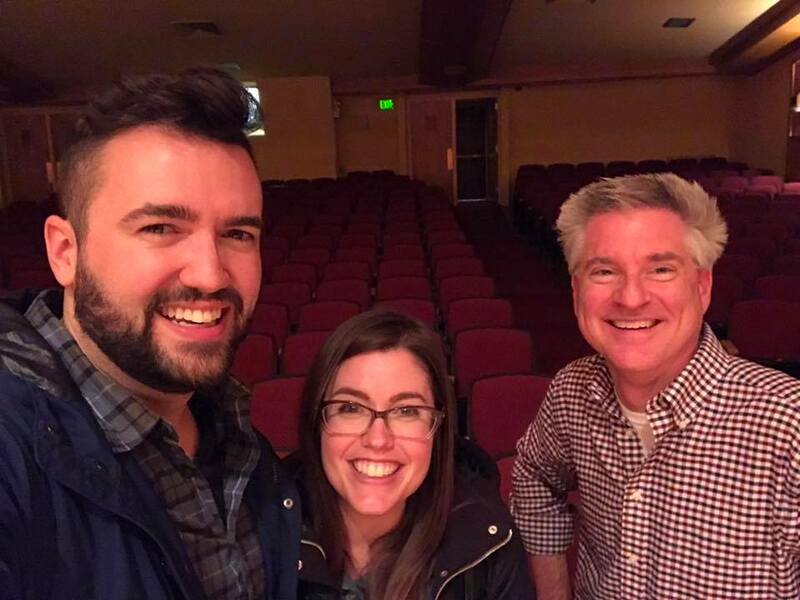 Matthew and Mary recorded the final tracks of the album this past Sunday in Boulder, Co. Our wonderful audio engineer Kevin Harbison is doing the final edits and mastering of the tracks to be sent to MSR Classics soon. So far, we seem to be on track for a January release date. Once we get that date confirmed I will post an update so you know when to expect your rewards from the fundraiser. Thanks again for your financial and moral support as we complete our album. We've been happy with how its turning out and we hope you will be too! 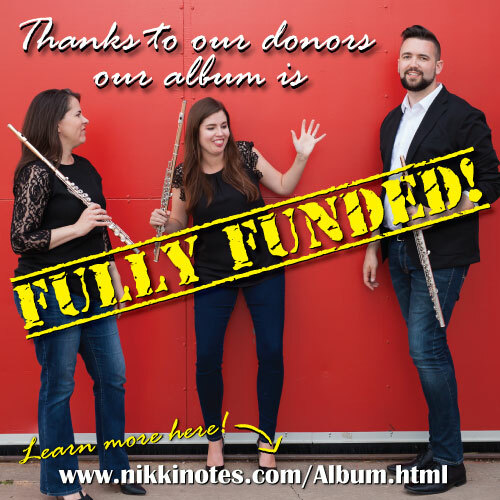 Thanks to all of you, our album "Three-Nine Line" is fully funded!!! We will start sending out the album rewards once the album itself is released in January. We can't thank you enough for your support. This has been a dream for the three of us and you made it possible! Get thanked on Nicole's twitter feed and website! Get a treble maker button pin to show everyone that you make treble! Get a CD and thanked on Nicole's twitter and website. 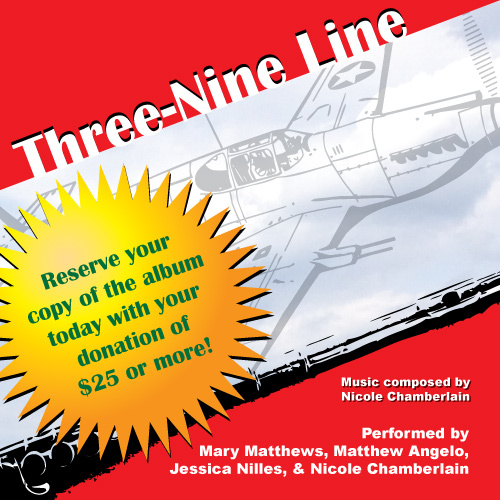 Nicole Chamberlain will sign and send a copy of the score, and receive a CD. Get a Skype or Google hangout lesson with Mary, Matt, or Nicole and CD. 3 minute solo of your chosen standard orchestra instrument composed by Nicole Chamberlain.